Last week President Trump tweeted that Senate rules for budget bills should be changed. There’s little chance that will happen. But why settle for little changes when we need big-league change? We need to stop playing the game as it has always been played. If we’re to get this country back on track, we need to change the rules of the game. Much of the frustration with Washington DC has been building for decades, and for good reason. People feel cut out and abandoned by their government. Government plays an even larger role in their lives and takes even more money out of their pockets, but they aren’t seeing many benefits. They feel they’ve been cut out by their party and its elites, whom they fund. We’re staring $20,000,000,000,000 in debt, and it’s not slowing down. It’s exploding. Government is not shrinking. It’s expanding and will keep expanding as more baby boomers retire and start receiving Social Security checks. More and more of life’s decisions are being taken out of the hands of individuals and given to bureaucrats. Those who believe government’s size and scope should be limited are losing. And this is all happening in the supposed heyday of the modern conservative movement and the ascendancy of the Republican Party. Let me remind people: Republicans control the White House, the House, the Senate, 33 governors’ mansions, and 70 of the 99 state legislative chambers. There have been billions invested in the conservative movement over the last few decades. People try to tell me the conservative movement is winning because conservatives dominate talk radio and cable, or because it has never been better-funded. My response: we just look and sound better while getting our tails handed to us. It’s like a basketball team with really nice jerseys and the biggest crowds getting beaten 100 to 43. The spectacle looks nice but the scoreboard is truly embarrassing. Folks, we don’t need to look better or sound better. We don’t need another radio show or another beautiful think tank building with marble bathrooms. We need to start winning. The reason we’re not is because the game is rigged against us. That’s right: we’re playing a game where house rules make winning almost impossible. We keep playing it, even though the odds are against us winning, and every time we lose, we shake our fists at the skies and go, “Oh, rats. Foiled again. That’s okay, we’ll win next time.” That’s basically the thought of virtually everyone walking out of a casino, so you’ll be in good company. Here’s a thought: let’s flip the table and change the rules. Rig them in favor of limited, responsible government. Because seriously, if we don’t bring fundamental change to our government, and just keep exfoliating that elephant of debt, guess what? That elephant, sans a few ounces, is going to land right on our collective heads. One of the fundamental changes that we need to seriously consider right now: repeal the Seventeenth Amendment. As a reminder: the Seventeenth Amendment allows for the direct election of U.S. senators. Previously, state legislators selected senators. The framers of our Constitution believed this process would make senators less tempted by the whims of voters and more concerned with the long-term interests of their states. Less concerned with the trending topic of the moment, these senators would brake the excesses of government expansion. Do you want governors begging on bended knee for favors from senators? Or do you want senators begging for favors from governors? 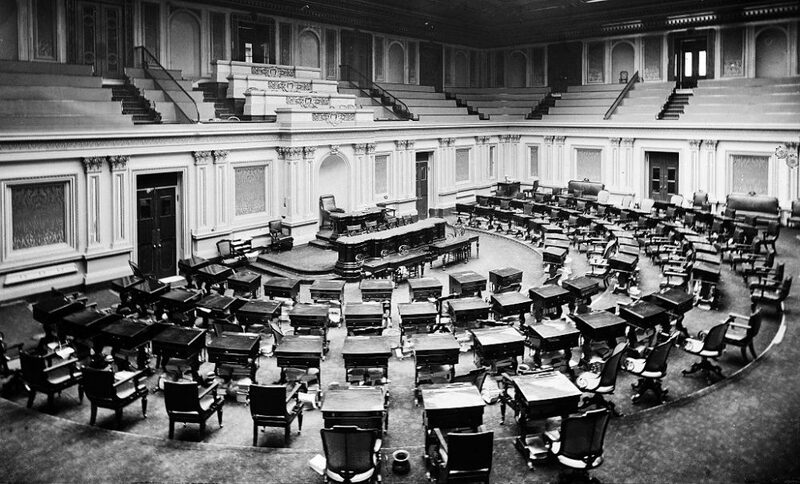 The seventeenth gave the power to the senators, and subordinated the states to DC. We need to restore the checks and balances. Imagine if the seventeenth were repealed and senators were beholden to their states, not the DC cabal. Consider that every day lobbyists for any variety of interests are in senators’ offices, many seeking carve-outs or increased spending. If President Trump wants to really change the Senate rules, he should start pushing for repealing the Seventeenth Amendment to begin realignment towards lasting, fundamental change. Ned Ryun is the founder and CEO of American Majority, a non-partisan training institute whose mission is to identify and mold the next wave of liberty-minded new leaders, grassroots activists and community leaders.